Before the start of the program, everyone singing Bayan Ko. 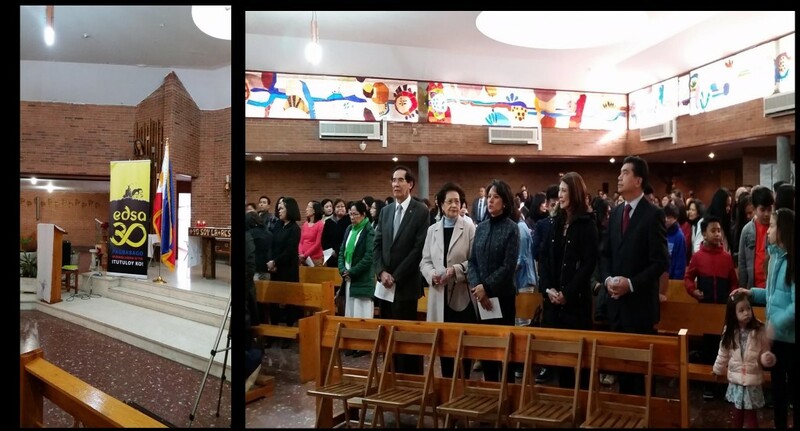 The Filipino Community in Madrid commemorated the 30th Anniversary of the EDSA People Power Revolution at the Parroquia de Nuestra Senora del Espino on Sunday, 21 February 2016. 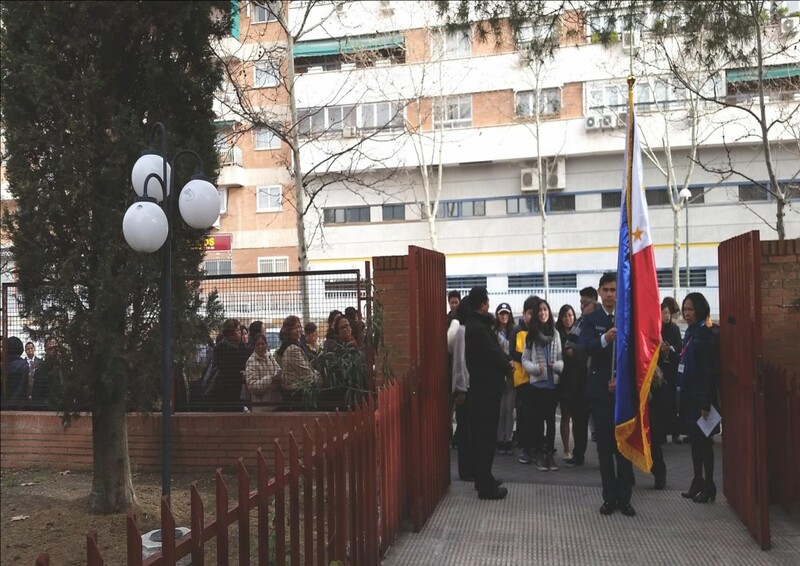 Filipino youth, singing ¨Bayan Ko,¨ led the community´s entrance to the church. Filipino community preparing for the short parade going inside the parish church. 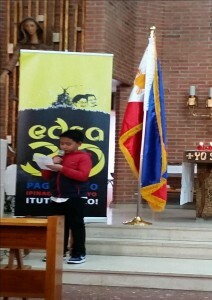 Elizer Lubis Reading the text of the children’s book EDSA. A Filipino boy named Elizer Lubis then read the children´s book EDSA, which was written by Palanca finalist Russell Molina and illustrated by Peter Pan Prize winner Sergio Bumatay III. The book captures details of the revolution, seen through the eyes of a child. It was published by Adarna House in partnership with the EDSA People Power Commission. Amb. 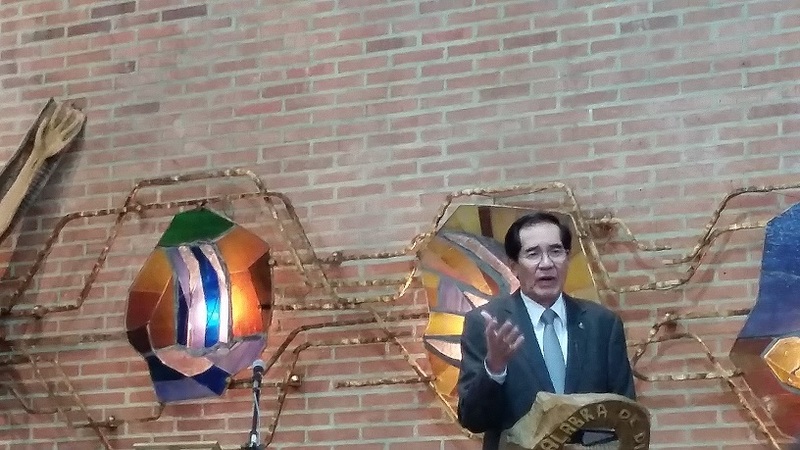 Carlos C. Salinas delivering his message on the EDSA 30 commemoration.